Pack your children's lunches in our cute Bento Boxes by Stephen Joseph. Designed with colourful and striking patterns, these bento boxes are the perfect size to store your children's snacks and treats. 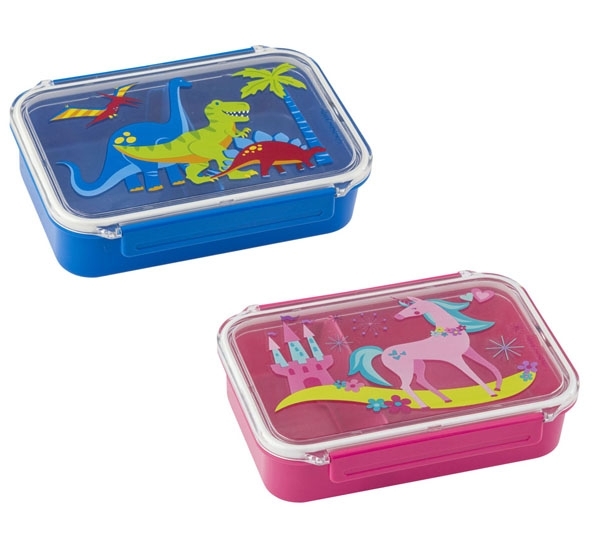 Featuring a transparent lid with two side clips for extra security, these cute snack boxes include an internal plastic sliding divider to separate your kids snacks. BPA and phthalate free these snack boxes feature a bright bottom to stand out from the crowd!